This is one of the more difficult posts that I've had to write and I've gone back in forth on how and when to write this post. I think I've typed and re-typed it several times... I try to keep my blog strictly about home decor, DIY, furniture projects, etc as I know most readers aren't too interested in my personal life, but the time has come to let everyone know about some personal changes that do affect the blog, etc. As of this weekend, our house will be officially for sale. Those of you that follow my blog will know that we haven't lived here very long and that our family relocated from the Pacific Northwest to the Raleigh, NC area a little over a year and a half ago. That wasn't our first move, in fact, we've had to move three times in the last three years due to job changes, so the fact that we have to put our house up for sale and move yet again is not exactly good news for us. After several years of demanding careers where my husband and I worked at an international CPA firm, we've been attempting to take steps to put the family above everything else...it just doesn't feel like it's working :) First, I left my job to stay home with the kids and my husband continued working 70+ hour work-weeks (almost year-around) on top of completely renovating our first house. Yes, we were crazy! We finally left that all behind back in 2010 and have basically been on a quest to find a rewarding career/job for a stable company that doesn't work you into the ground. It's all about balance. At this point, my husband has a great job for a large successful company...but it's in Greensboro, NC and he's commuting over 200 miles a day (about 4 hrs in the car) and it's just not a healthy situation for anyone and it's certainly not what we moved 2,700 miles across the country for. Poor guy... he's racked up over 80,000 miles of commuting in 3 years! I feel ill-equipped to guide them through these moves as I grew up in one community my entire childhood and the same school system K-12, so you can imagine the parental guilt eating at me. Any suggestions? I have a deep respect for military families! Even though we all feel a little depressed about the whole situation, my husband now has a great job, we have a great family, our health, and so many blessings that I can't possibly let this get me down...it's just another speed bump in the road and hopefully the kids will come around. Yes, it's been a crazy last several weeks getting the house ready for listing. You wouldn't think so with us only have lived here for such a short period of time! I've been landscaping, scrubbing every surface imaginable, switching out almost all my taste-specific chandeliers, staging, and generally getting everything spiffed up. The house photographer was here a few days ago so I'll be finally sharing the whole house this weekend. Best of luck with the move! I was just admiring some of your work the past weekend at SuzAnna's Antiques. My heart is wrenched for you and your family Kristen. As a child I was in many different schools... many different Towns Cities. My father moved a lot with his job. It was tough. I am not a fan of moving at all... the stress of it alone. But at times this cannot be helped. Wishing you and yours an easy transition. did you mention this on your blog before, or maybe we just emailed about it, because i already knew. i know this is hard, but one thing i know for sure... everything in my life has happened for a reason and i am always put on the path i am meant to be on, even if it doesn't feel like the right one at first. thinking of you and hoping for a smooth transition for you. I'm afraid I don't have any advice for you with helping your children through this move. We moved 2 years ago from the West Coast, and it's been so tough on them. What they don't realize is that by moving, we get a much more stable family life with their Dad home every night (vs traveling as before) and in a great career. It sounds like this is the case for your kids as well. They may not realize this, but as long as you know it's the right move and will be happy with it, they will be too! Happy parents=happy children. I look forward to seeing your new home.....I hope you show us all the ones you look at! I know it's stressful, but there is an element of fun with a fresh start too! I actually like that you GOT so personal and shared this. It's nice to connect with the girl behind all the BEAUTIFUL decor you feature. My husband also works upwards of 60+ hours a week, and I can't imagine trying to move in the midst of it all. You have such a healthy attitude about your situation, and I will pray for a quick sell and a more permanent residence for you in the near future. Hang in there! Hi Kristen ~ I just found your blog recently and I love it! I'm sorry you're going through a difficult time but it sounds like you are doing the right thing for your family. Try not to let the guilt get to you too bad ~ just love your kids like I'm sure you always do and maybe a few extra sweet treats thrown in! Us too. I've got half the house packed for hubby to take it on out to Texas on Tuesday. Then I get to finish up the summer and have the other half moved out there. But not before I move the two big boys to Boone into their college apartment. Don't worry about kids. Honestly all the moves make them adults that can handle change and stress well. I went to 13 different schools from K-12. And I'm no worse for wear. Can't wait to see what you buy in Greensboro. And when we come back in three years I'll expect a visit with you. I'm so sad to hear this Kristen, and I can totally understand your parental guilt.I'm sure everything will work out for your whole family. Best of luck with selling your house. I hear it's a good time to sell so at least that's good. I live in Greensboro and currently have my home on the market! My husband and I are custom building a home several miles away from where we are currenly. 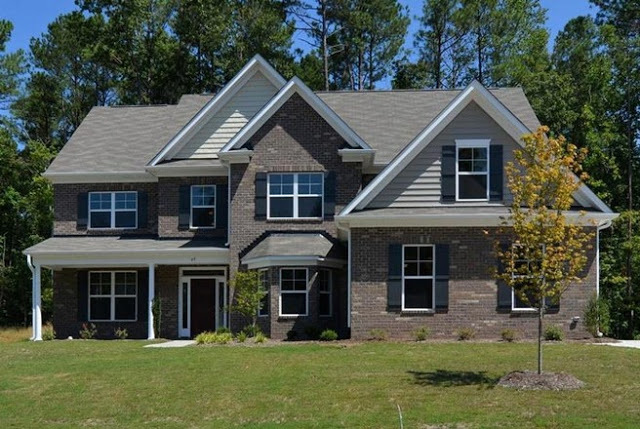 By any chance are you looking for a 4 bedroom, 2 story home in Northwest Greensboro? Contact me! I would be glad to tell you more about Greensboro...schools, shopping, doctors, etc! It sounds like it was a difficult decision to make, Kristen. I'm sure that in the long run everything will work out for the best. Best of luck with everything. Thanks for sharing with us your personal journey-that is a hard thing to do. I even feel the blog is an escape from the realities and maybe no one wants to hear it. This sounds like it'll be another tough move for your kids-I'll pray they get through it alright. I love checking out your blog and am glad your not completely quitting although it may be tough to do it as often and let that be okay. Good luck with this move and God Bless. Thank you for sharing the real stuff with us. My heart goes out to you as I know this is not easy. My Lord, though, commuting 200 miles/4hrs is just insane. I can only imagine the exhaustion for your husband and then so much falls to you. I don't have any advice, but I did say a prayer for your family. I hope everything goes well for all of you. I wish you a speedy sale and that you find the house of your dreams. Like you, I lived in the same house my entire childhood. It is still in the family with a niece living there. My husband on the other hand moved yearly - 5 schools in the the 7th grade. He swore that his children would never have to move and his goal was met when our youngest graduated from high school with her pre-school friends. The timing is pretty good for your 6th grader - he/she can get 2 years in a middle/junior high school before starting high school. My thoughts are with your husband and that he will be able to stop the long commute. I have learned that in the long run everything works out . Wow! I've followed your blog and wish you well. Thank you for sharing. I commuted 3 hrs daily for 4 years and it was rough. Losing that and gaining family time will be worth it! So sorry that you are leaving your beautiful home, but that is just to far for your husband to travel to and from work. That takes a tole on everyone in the family. I am sure your home will sell immediately and you will have a nice new home to re-decorate. I wish you the best of luck this to will pass. Hang in there. I think you have a wonderful attitude about what you are experiencing eight now and doesn't it feel good to talk about it on your blog? Of course, you have to think about your children first but it's surprising how quickly they adjust. If they were a little older, maybe not so much. Keep up the positivity, I wish you and your family all the best! Life constantly provides us with unexpected, and frequently unwanted, changes. I hope this bend in the road reveals something wonderful for your family. I'll be thinking good thoughts for a quick sale, new best friends and a great transition! Greensboro is a nice town.You will like it there. I can relate to so many things in your post. Moving too much..feeling guilty about how your move affects your kids...and especially to husbands being worked to hard and how it affects the family in such a negative way. I appreciate so much how hard my husband works for us. It seems most companies these days are severely understaffed and their employees are overworked. Your home is so beautiful!! I hope you love your new one even more and I'll be praying that this is a wonderful move for your whole family! I feel for you, But a house is just a thing. It's what you fill it with that makes it a home. And a shorter commute for your husband means more time with him as a family. That may give some solace to the kids who will be leaving friends. You have my prayers. The Lord always has a plan. I know it is difficult, anticipating this next move, especially with your mom and step dad being so close to you now. I know that things will work out and you will find that little farmhouse on some land that you have always wanted where you can have some animals and raise the kids similarly to how you were raised. Be patient and keep your chin up! Thanks for sharing your personal story on the blog. You have a lot to share with folks and it doesn't need to always be strictly about decor! So glad you are keeping the booth at Suzanna's. Kristen, I'm so sorry you and your family are going to move! I know it was hard on me to move from the West coast to the South as an adult so I know it's hard on kids. We will continue to follow your decorating adventures! I think you'll find that GSO has a lot to offer! There are some great schools and great neighborhoods...there are a few bloggers from there, as well. I am in Winston, about 30 minutes away. And there is a shop--Summerhouse--that is to die for! Let me know if you need any info! I have to agree with Andrea about Happy Mom and Dad then you will have Happy children. This is true!! We moved from Texas with 4 kids to Florida then back to Texas. I had one in highschool, two in middle school and one in 5th grade. The younger ones were ok as soon as they made friends but the high school one took a while. What helps more these days are all the ways kids can stay in contact with each other. Encourage joining spots and clubs immediately and fixing their rooms first. It made my kids feel like this is home with all their items on the wall and favorite paint too. best of everything and remember to breathe. Hang in there, it is tough and the kids will survive. We have moved 5 states in 15 years the number of schools are even more. I strongly suggest not moving once your eldest gets to HS. Our last move was during our daughters 9th grade year and it was TERRIBLE. it rocked her world and took a long time for her to come to terms with it. Sorry about your having to move again. You really have moved a lot, and I am sure it is hard on you and your family. However, kids are resilient...the most important factor in their life is YOU and their FATHER! Our world is ever changing and those of us who adapt, do well in life. Still moving isn't easy. As a Realtor I know that...and we are in the process of putting our home of 25 years on the market...a home my Architect husband designed and built. Lots of memories...and too much stuff! By the way, I immigrated twice as a child and considered it an adventure! Best to you. Hope you have a great agent and the house sells quickly! We moved several times, and to different cities when my girls were young. It's hard, but being with two parents that are happy and rested is critical. Kiddos adjust with God's design. Praying for His hand in your circumstances. Kristen, I know having to move again on the heels of your last move isn't what you want to be doing at this stage in your life, especially since your mom and step dad are finally so close. But I have to admit that I'm thrilled you are moving to the 'boro. Selfish, I know, but I am really looking forward to hanging out with you more and hitting some more of our favorite shopping spots. I think you and the kids will grow to love it here in Greensboro, and I know that your husband will, too, because it will mean he gets to spend more time with his precious family and not in the car. So, when are you headed this way to do some house hunting? If you have time, let's get together. And every day, I am keeping my eyes open for houses that I think would be perfect for you. Children are resilient. I moved eleven times by the sixth grade and turned out just fine (I think! :) If you don't mind, I do have one piece of advice, though. Because we don't have a national school curriculum, different schools often teach different skills in different grades. Talk to the kids' new teachers to see if they've missed any important information or skills. For instance, sentence structure might be taught in the sixth grade at the old school and fifth grade at the new. So if your child starts sixth grade at the new school, she'll miss learning about sentence structure. Best of luck for a less stressful life, and for what it's worth, I'll remain a follower no matter where you write. Kristen...As you know moving can be a fun adventure and it opens your kids up to a more expansive and worldly experience. Due to my Dad's work, my family moved many times across the country and I feel I've benefitted in that respect. Though I must say, the making and losing friends and the lose of security due to that has had it's effects in my adult life. That you're making this move to keep the family and time spent together important is a bonus...the best of luck...and I'll keep following you.